Space has always been an intriguing place for most of us. There is still so much to learn about the vastness of the universe. At this point, only a few things are certain, so there are plenty of theories about space. 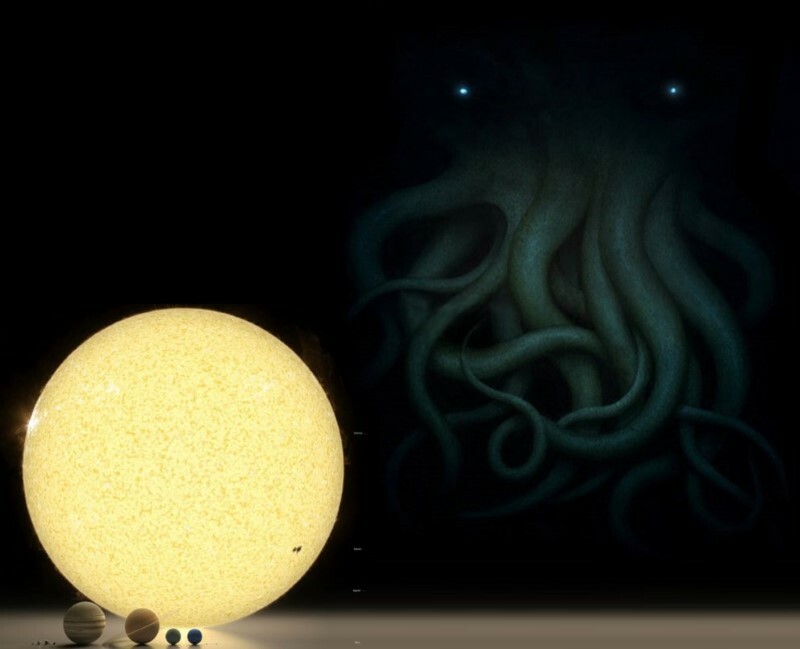 Whether it is a conspiracy theory about a particular space mission or a scientific theory about how something forms, there are plenty of creepy things in space that will make you re-think your entire existence. Here are 7 creepy theories about space. Just the name of this theory sounds terrifying, doesn’t it? According to conspiracy theorists, NASA conducted a mission to Jupiter’s moons in an effort to see if they could turn Jupiter into another sun. There is no proof of this theory, but turning Jupiter into another sun would allow the moons of Saturn to be warmed up and possibly used for colonization. This may just be a crazy conspiracy theory, but NASA did just announce $255 million in their 2016 budget to send a ship to Europa, which is Jupiter’s largest moon. In elementary school, you would have learned about planets and their path of orbit around the sun. What you may not have known is not all planets abide by those silly orbiting rules. Instead, they just float around and do whatever they want. The creepy thing about this is researchers estimate there to be about twice as many rogue planets as there are stars in our galaxy. Basically, there are a lot of them. The other issue with these planets is they are about the size of Jupiter, so now we have a lot of large planets doing whatever they please. The theory is that if one of these planets enter our system, it could cause another planet to lose their orbit and become a rogue planet. Let that sink in for a second. We have heard of black holes and how they can consume pretty much anything within its reach, but did you know that there could be supermassive black holes out there? These amazing space oddities have the mass of about 4 million suns. Yes, that is 4 million! The theory behind supermassive black holes is they exist in the center of every galaxy, including our own. Typically, they don’t cause any damage to us since we are far enough away; however, as these holes continue to consume gases, they may become “active”. This is called an “active galactic nucleus”. During this phase, the Supermassive Black Hole will expel radiation and increase star creation and consequently, we would experience a lot of star bursts. Usually, these massive stars being created will end in a supernova and destroy anything in its path. To make a long story short, it is quite possible that the supermassive black hole in the centre of our galaxy could eventually begin throwing giant bombs around, just for fun. This is not a good thing. There is a theory that life once existed on Mars; however, that life was wiped away due to a nuclear explosion. Incredibly, Dr. John Brandenburg presented a theory that there used to be two civilizations on Mars, the Cydonians and the Utopians. Dr. Brandenburg goes on to explain that he believes another alien force destroyed these two civilizations through the use of nuclear warfare. There is enough Thorium and Uranium on the surface of the red planet to certainly make his nuclear explosion theory possible. Oh yeah, Dr. Brandenburg also warned us that this could very well end up being our fate, so we should probably be on guard for alien intruders. Have you ever heard of a supernova? Well, a hypernova is like that but much worse. So a supernova occurs when a star collapses on itself and basically explodes. When that star happens to have a mass that is 200 times greater than our sun, and it collapses into a black hole, then a hypernova occurs. Obviously, this is not good for the planets in the way of this giant, exploding star. It is believed that a hypernova caused the Ordovician-Silurian extinction event, also known as the 3rd largest extinction event in the Earth’s history. So that is the bad news. The good news is there are no stars of this size in the immediate vicinity of Earth, so this will most likely not cause the destruction of our planet. There is a theory that there is actually another planet in our solar system. Some researchers believe that this entity, referred to as Planet-X, is quite large and if it is indeed hiding in our galaxy, could have catastrophic effects for Planet Earth. There was a mission to search for this “tenth” planet when it was discovered that Pluto was too small to account for some gas anomalies in the solar system. NASA never found this mystery planet, but some believe it is out there and moving closer to earth. Is this rogue planet on a collision course with Earth? If it is then it wouldn’t be good news for us, but for now it remains a theory, and luckily more of a conspiracy theory than anything else. Okay, so we already looked at the Supermassive Black Hole theory, but there is another potentially dangerous black hole situation out there. Initially, it was believed that only the Supermassive black holes could actually roam around the galaxy. It turns out that this theory was incorrect. There are other smaller black holes that are able to move at around 900 million miles per hour. Yes, you read that right, 900 MILLION miles per hour. Luckily, these smaller black holes don’t have much of a reach; however, they could very easily bump into something else as they are zipping around the galaxy. If a fast-moving black hole does bump into something else, it could very well send a variety of space objects rolling towards earth at a whopping 900 million miles per hour. At that speed, those objects will do a great deal of damage and in a rather short order of time. Let’s just hope these black holes never hit anything too close to Earth.